The All Teachers Coordination Council (ATCC) Khyber-Pakhtunkhwa has announced province-wide protests against the government for delaying the acceptance of their demands. 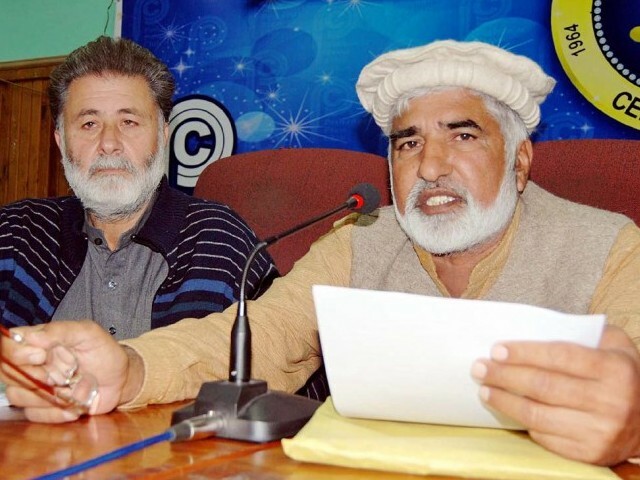 “We asked the government to ensure promotions, hold elections for official teachers’ bodies, have a quota for sons of deceased teachers and to reserve an allowance other than salary,” said ATCC General Secretary Muzammil Khan Tarnabi during a news conference at Peshawar Press Club on Wednesday. He added teachers in K-P have to struggle for their rights while governments in Balochistan, Punjab and Sindh have provided teachers with due facilities. Published in The Express Tribune, February 19th, 2015. Teachers have welcomed the announcement.